“How do we use water?” asked the educator from I Love A Clean San Diego. Sixth grade hands flew up in the air and their answers were put on the whiteboard. Students then categorized them into the four main ways we use water: recreation, hydration, hygiene, and irrigation. 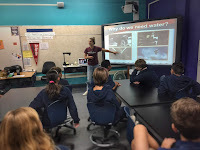 Next the educator from I Love A Clean San Diego took the class through a discussion on watersheds and pollutants. Their science teacher, Stefan Bauer, comments on how impressed he is with the answers they are sharing. The lesson wraps up with a hands-on activity that requires students to identify the mystery of has been added to water in several water bottles. This activity piques the students’ interest and leaves them really considering the human impacts on the water around us. As part of BlueSTEM Pathway, The Pacific Beach Middle School Science Team, puts a major emphasis on water throughout their curriculum. Water is an essential part of life in the Mission Bay Cluster, a community surrounded by water from Rose Creek, Mission Bay, and the Pacific Ocean. 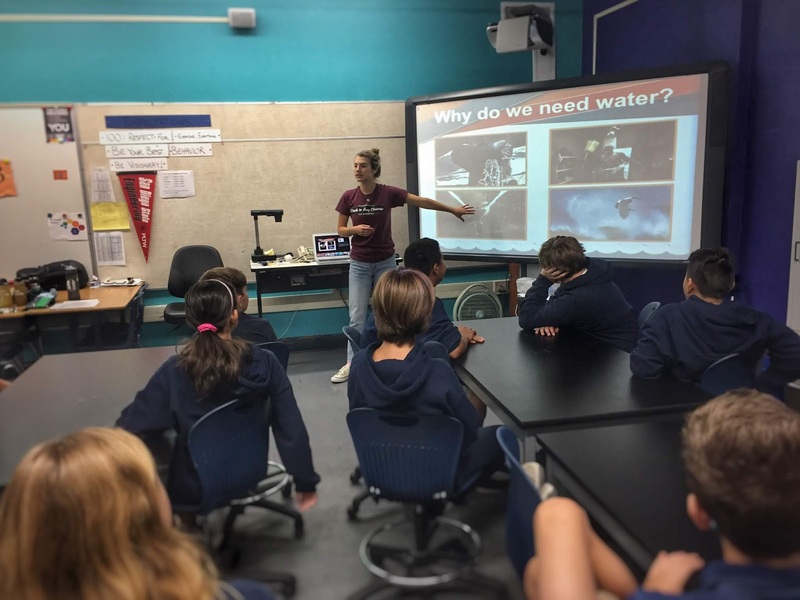 This lesson is just one example of how the 6th grade science team is laying the foundation of the focus on water that will continue from 6th grade and throughout their learning at Pacific Beach Middle School and Mission Bay High School.